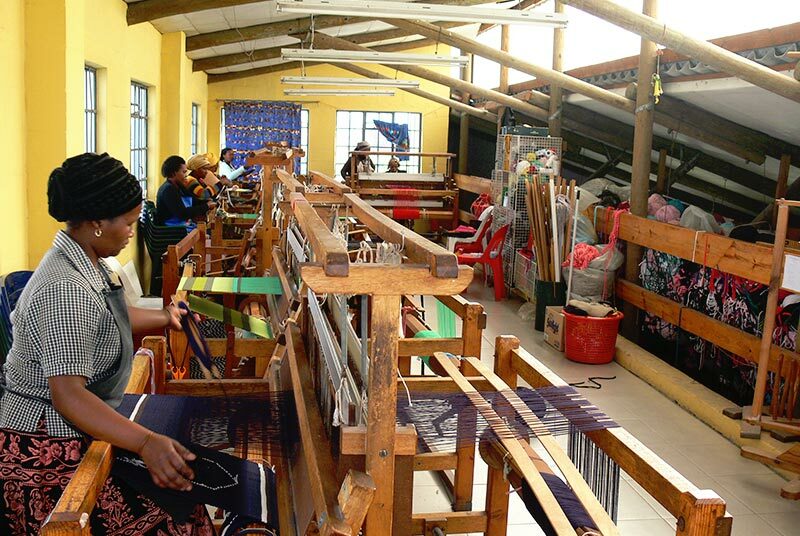 Founded at St. Michaels Church in 1997, the Khayelitsha Craftmarket has since become an important part of the community. The craftmarket provides a great opportunity to see how bead works, paintings, sculptures and wire art are handmade. 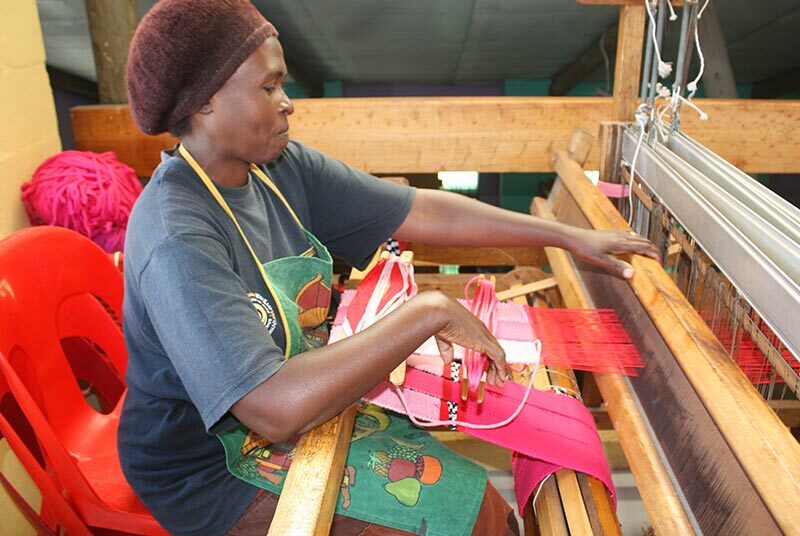 Besides manufacturing and selling arts and crafts, the crafters use their skills to teach other interested members of the community so that they can learn and maybe also make a living out of it. Often the money that the artists make selling their crafts is the only income for their families. 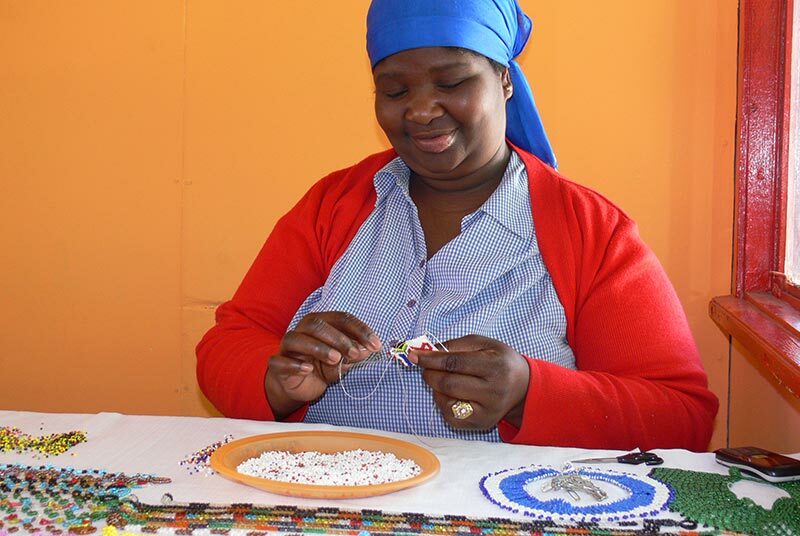 Therefore if our guests are looking for souvenirs or gifts, we always advise them to have a look in the townships first to directly support the families of the artists and crafters. 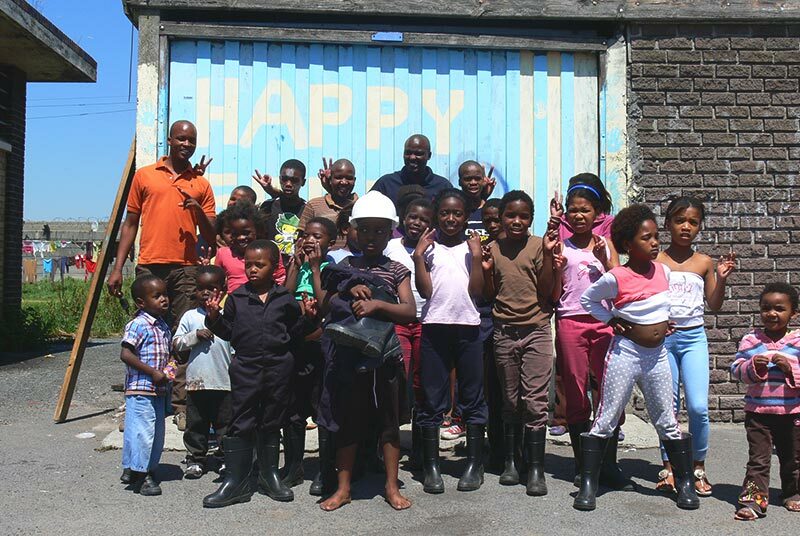 Joe Slovo is a township in Milnerton, about five minutes drive away from our guesthouse. Tourists usually do not visit this township, so that’s the reason why we chose to support this kindergarten. Cynthia has been in charge of this kindergarten for more than 11 years where she looks after more than 50 children between the age of 1 and 6 years old. The kindergarten is located in 4 old containers, which have become rusty and leaky, making it not worth sealing. There is no water and no toilets, so all of the children have to use one outside bucket-system toilet. 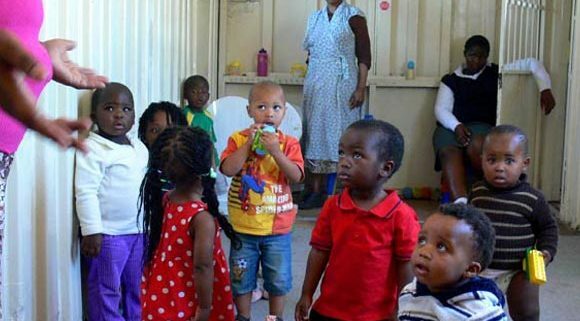 For more than a year we have been negotiating with the municipality about a free piece of land in the township for the kindergarten, where we would like to erect a proper structure with a kitchen and bathrooms. This can still take some time, so we are trying to get and save donations for our plan. Only extremely urgent repairs are done in the meantime.